2. It’s impossible to predict which matches will have the highest quality tennis. 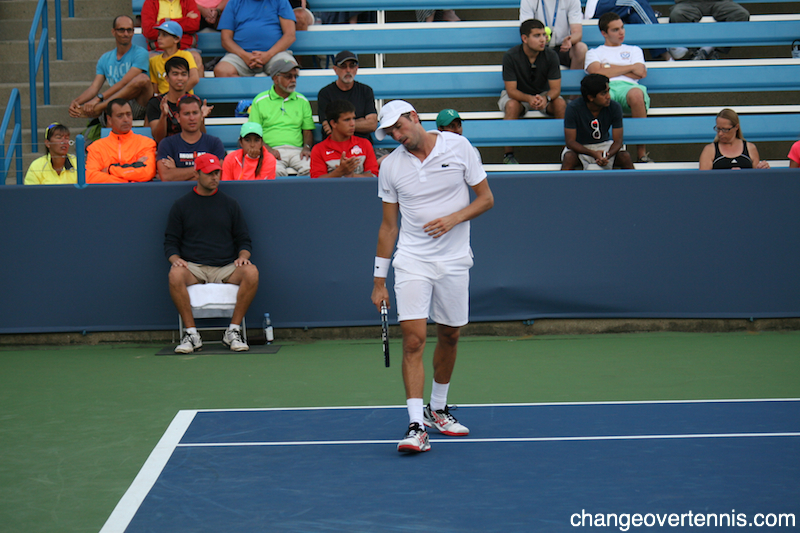 I saw Julien Benneteau vs. Blaz Rola on the Order of Play, and couldn’t have been less interested in that match-up. However, after catching some of Sloane Stephens’ win over Andrea Petkovic, I needed to escape the crowd, so I made it over to Court 9 to watch the end of Benneteau-Rola, since there was little else going on until the night session. Benneteau wins a point, says something to a Rola fan in the crowd. Benneteau screams "allez," not realizing he'd lost the point. Both guys had a match point in the third set tiebreak, and Rola hit some absolutely incredible shots, but it was Benneteau who came out with the win. However, I really enjoyed Rola’s game, and the atmosphere of the match was awesome. 3. 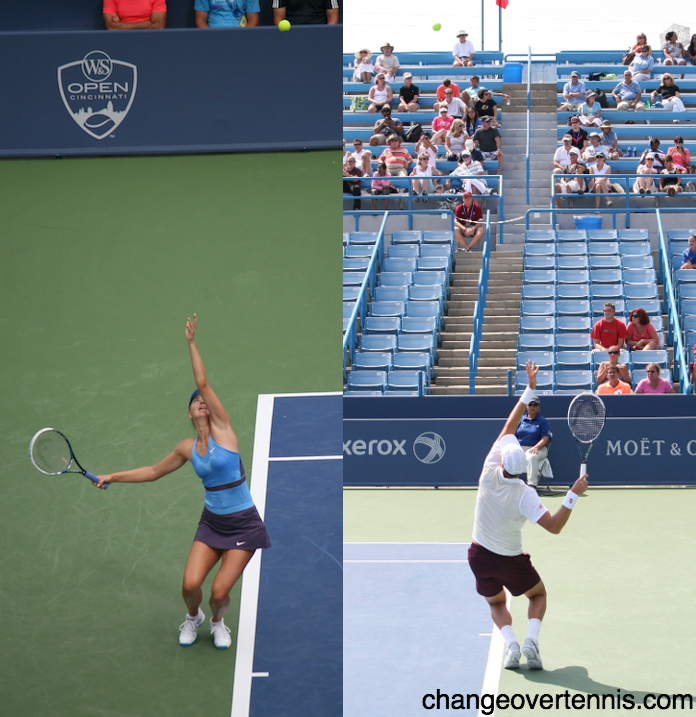 I couldn’t resist making this side-by-side comparison of Maria Sharapova’s ball toss vs. Tomas Berdych’s ball toss. 4. Man, Mohamed Lahyani is loud. Really loud. Maybe it’s just because I’ve been at tournaments for two of the last three weeks, but it is actually pretty annoying that you can hear every. single. point. and every melodramatic reading of the score, and every “CORRECTIONBALLWASGOOD” when you’re not even close to the court he’s on. I know he has his fan base, but I wish he’d tone it down, honestly. 5. Andrea Petkovic looks good in virtually any tennis outfit, but not this one. Between the horrific color of the skirt, the matching shoes, and the ruffle, it might be the ugliest kit in tennis history. 6. 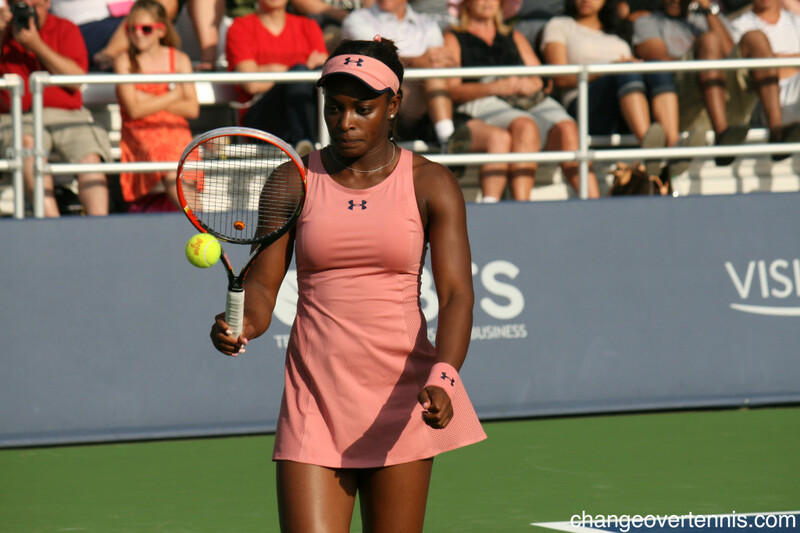 On the other hand, I absolutely love Sloane Stephens’ Under Armour outfit. The color looks great on her. 7. 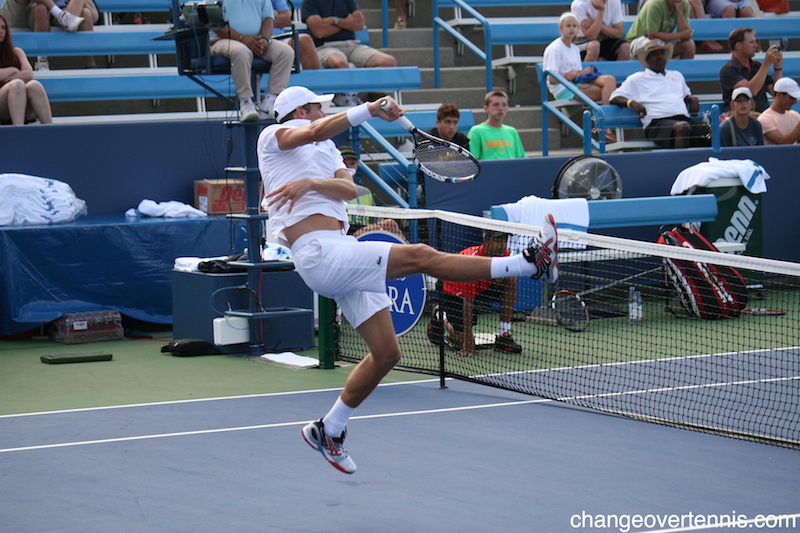 Here’s Jeff’s impression of Robby Ginepri’s forehand. 8. 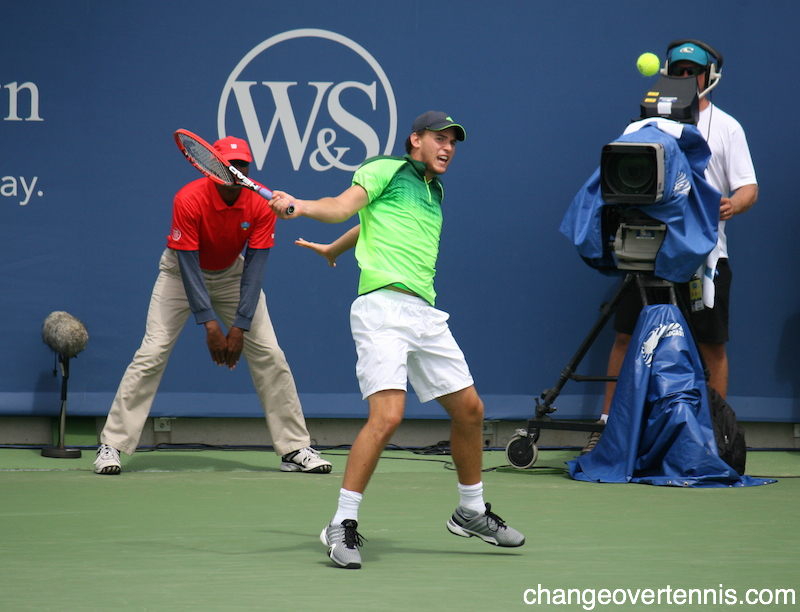 Dominic Thiem hit some pretty shots in his loss to Ginepri, but it was a match he should’ve won. Lots of missed opportunities and silly errors. His draws won’t get much better than that in the main draw of a Masters 1000. The change was swift. I’m happy now that you can buy it. It’s the one I’m playing with. They are going to make it in three different versions. The one exactly I’m playing with, and then I think two lighter versions of it for younger people or weaker people, you know, who can’t carry such a heavy racquet. Not that mine is crazy, but it’s good to have the choice. I’m very excited, because I have been playing pretty much with the same racquet since 2002 with some little adjustments here and there, but never to the extreme of changing the size of the racquet the way it is now. So this is a major change for me, and I’m happy I have made the switch. I have made semifinals already this week. I’m happy with the way I’m playing.